Beyerdynamic Soul Byrd review | What Hi-Fi? 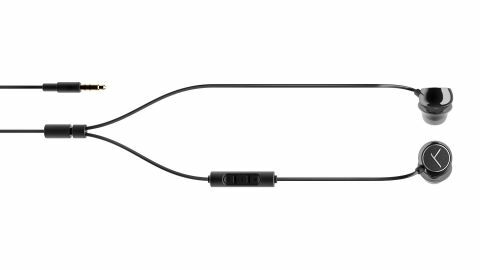 Some manufacturers favour a bemusing code of letters and numbers when naming their products, but for its latest pair of budget in-ear headphones, Beyerdynamic has opted for a simple name. The Beyerdynamic Soul Byrds (no, that’s not a slip of the keyboard) are a talented pair of sub-£100 in-ear headphones. If you want an affordable upgrade for a pair of ageing Apple EarPods, these headphones deserve to be on your hitlist. They’re so good, we’ll even forgive the spelling. The Soul Byrds, part of Beyerdynamic’s new Byrdland range of in-ears, replace one of our favourite budget in-ears of recent times, the Byrons. Compared to its predecessor, there’s been quite a design departure. Gone are the industrial looking cylindrical earpieces and in their place is a more delicate and, dare we say, more stylish design. Out of the box, the first things you notice are the smooth, rounded housings and the contrasting flat exterior faceplates. The plates are made from anodised aluminium and combine with the rest of the design to make a good first impression. Beyerdynamic also points out that the new design lends itself better to listening to your music or movies in bed. A lot of budget in-ears around this price tend to protrude more from the ear, but those flatter panels mean there’s less headphone to get in the way if you rest your head on its side. Etched on to each faceplate you’ll see a small ‘Y’ logo, which is a nod to the ‘Your Day, Your Sound, Your Beyerdynamic’ marketing message that accompanies their packaging. There are five different pairs of earbuds in the box, ranging from very small to very large. The smoothness of those earpieces means it can be tricky to get a solid grip, but the tips are flared, which makes it easy to slot them in and achieve a decent level of isolation. You don’t need to ram them down your ear canal to get a comfortable and effective fit. Given their affordable price, there aren’t any major surprises on the feature front. There’s a small three-button in-line remote control on the right-hand cable that should give functionality (including play, pause and skip tracks) across iOS and Android devices. The Soul Byrds also come with a relatively robust, slimline carry case with an elasticated strap to keep them secure and an internal pouch for the extra eartips. Some in-ears include magnets that hold the earpieces together when they’re loose around your neck. This isn’t the case with the Soul Byrds, but we managed to survive without and are pretty confident you will too. It doesn’t matter whether you’re listening to budget headphones or an ultra-high-end pair of speakers, some audio products just sound good, even after a brief listen. And that’s the case with the Beyerdynamic Soul Byrds. There’s a balance to the sound that many budget in-ear headphones just struggle to get right. There’s no thin treble or boomy bass here. What you do get is a full-bodied and weighty sound, but balanced with impressive poise and control. The hefty drum thwacks that form the introduction to Haim’s Falling have a powerful bombastic character. Those initial strikes are followed-up by a deeper, more far-reaching note, which the Soul Byrds communicate easily. There’s a welcome fullness and richness to the sound that is both comforting and confidence-inspiring. Play Sam Smith’s I’m Not The Only One and his vocals sound clear and layered with texture and emotion. Rhythmically they’re on top form too, with the drum beats and piano playing perfectly in time. Ramp up the pace with Smith’s Money On My Mind and the Soul Byrds match the enthusiasm and upbeat tempo of the song’s percussion. Although more expensive than some rivals, such as the SoundMagic E11Cs, the Soul Byrds are clearly a step up in overall quality. This is a superb pair of in-ear headphones – such an easy listen, but interesting and captivating too. It’s a brilliant feat for a pair of in-ears that can be yours for under £70.